The Top 200 semi-finalists who will move on to the next stage of the search for the first generation members of MNL48, were presented today, January 20, on ABS-CBN’s noontime show, It’s Showtime. 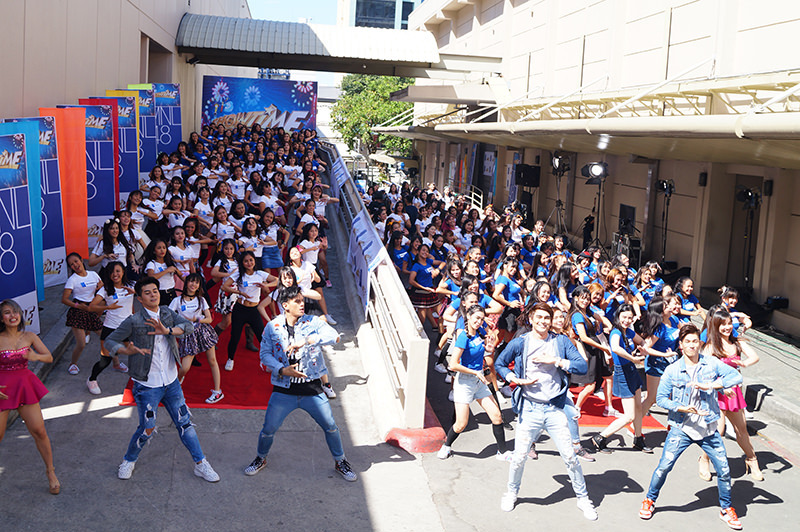 The 200 semi-finalists were introduced to the audience and performed live for the very first time as part of It’s Showtime’s launch of the MNL48 segment that will officially start airing every day (Monday to Saturday) beginning January 29. Meanwhile, for one week starting January 22 until January 26, the Kapamilya noontime show will be featuring the Top 200 contestants’ sing and dance videos on the segment, along with their panel interview and their first pictorial. Through this, It’s Showtime viewers and MNL48 supporters will get a chance to get to know the semi-finalists or their Oshis before screening and selection of the Top 100 aspirants which is now in the hands of a panel of judges. The much-awaited announcement of Top 100 finalists will be on January 27, 2018 on It’s Showtime and the contestants who will make the cut will compete for the first MNL48 General Election this April. For the list of names of the Top 200 applicants, you may visit MNL48 website or through MNL48 Plus mobile app and follow our social media accounts for more updates.